Audra Simons is the Director of Forcepoint Innovation Labs. 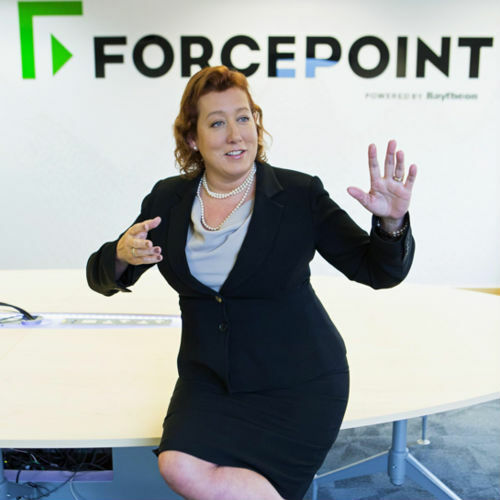 Under Audra’s leadership, Forcepoint Innovation Labs produces cutting-edge technology and service innovations. Her business unit’s primary purpose is to create products and services that will drive the future of cybersecurity. Audra instills a culture of innovation and closely partners with customers and internal leaders to drive innovations that solve critical business problems. Before joining Forcepoint in 2017, Audra was Head of Innovation at FluidOne, a data delivery network and mobile service provider. Prior to this, she has held various roles in global and national services providers driving and delivering innovation and products, rationalisation and best practices.